In this series I will look at adding a few image helpers to the mvc html helper to simplify adding images to a view. The first helper is just a simple helper that displays an image tag with the source value set to point at a image controller that returns an image. To do this first create a new controller called "ImageController" this will be used to hold all our image related actions. and as long as you have an image called test.jpg in your images folder it should get rendered. If you need a test image feel free to use this amazing test image! 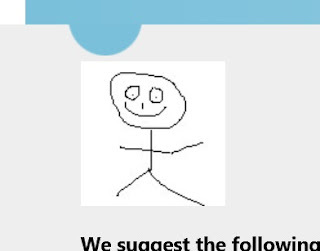 While this works just fine its a fair amount to write every time you want to draw an image, so to solve this we can create a html helper that just takes the image name and alternate text. something like "@Html.Image("test.jpg", "Alternate text")"
To do this we need to extend the Html helper to include a method for image, so that we can easily create images and not need to worry about calling @Url.Action() each time we want to render an image. Create a new static class called "HtmlHelperExtensions"
In this class first we create a static method and have the first parameter as "this HtmlHelper helper" to specify that it is an extension to the HtmlHelper class. next we use a URL Helper to generate the URL for the image controller action without having to specify it. We then format this in to the <img> tag and return it as an MvcHtmlString so it is properly formatted. At this point you need to either add an @using statement and specify the namespace where HtmlHelperExtensions is or add it to the web.config inside your views folder so that razor knows where to find it without specifying it in every view you want to use it in. 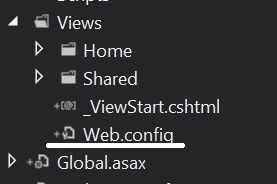 To do this open the razor web.config (the one in the views folder). in a view and an image will be created, if the image does not display it can be helpful to view the source of the page to try and get a clue as to where the process is going wrong. In the next part we will look at creating an image helper that will re size the image on the server before sending it to the client.